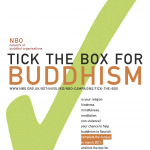 The NBO has now created a Facebook page for our Tick the Box for Buddhism’ Campaign. Please become a member to show your support. We are now only about two months from Census Day on the 27th March. It is important to keep the momentum going to ensure that we get as accurate a figure as possible for all who follow Buddhist values in the UK. 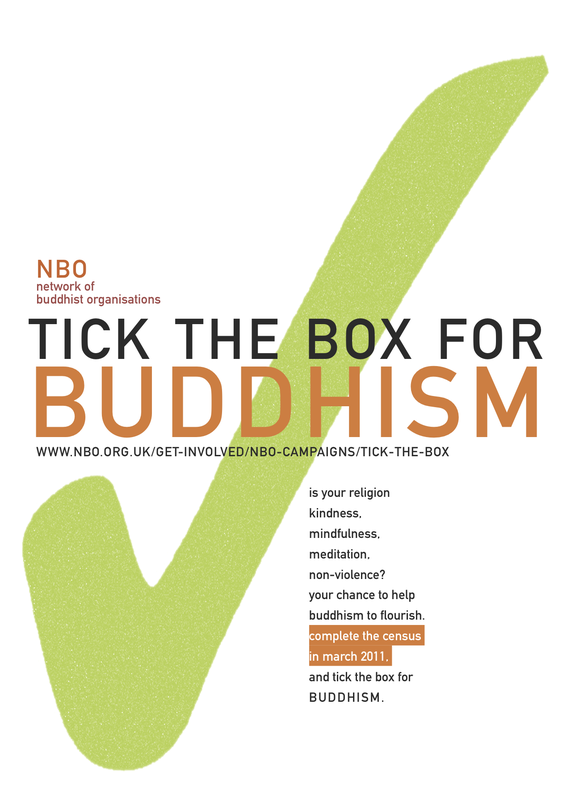 Please let your friends know about the Tick the Box for Buddhism Campaign. Download the the poster and display where you can.